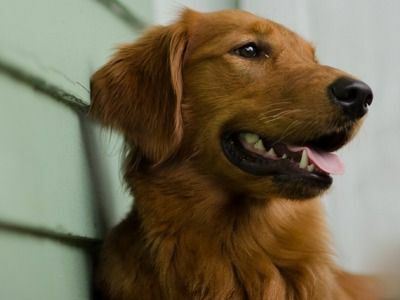 Golden Retrievers have consistently remained one of the most popular choices of pets here in the UK and the world over for many years and for good reason. These dogs boast wonderfully calm natures which paired to their intelligence and trainability make them the perfect choice as family pets. 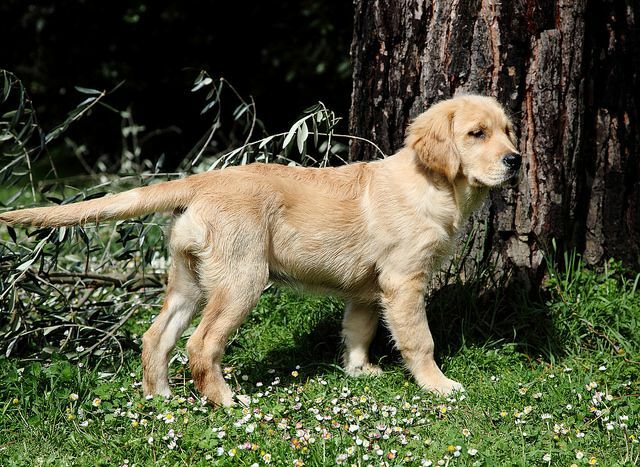 Originally bred as their name suggests to retrieve "game" and many Golden Retrievers are still seen in the "field" because they are so highly valued for their skills. 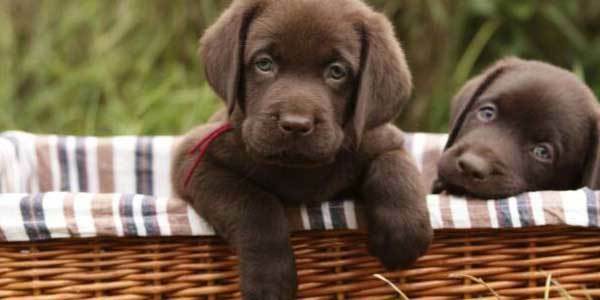 However, it's in the home and workplace that Labs really shine, they are marvellous with children and other pets. 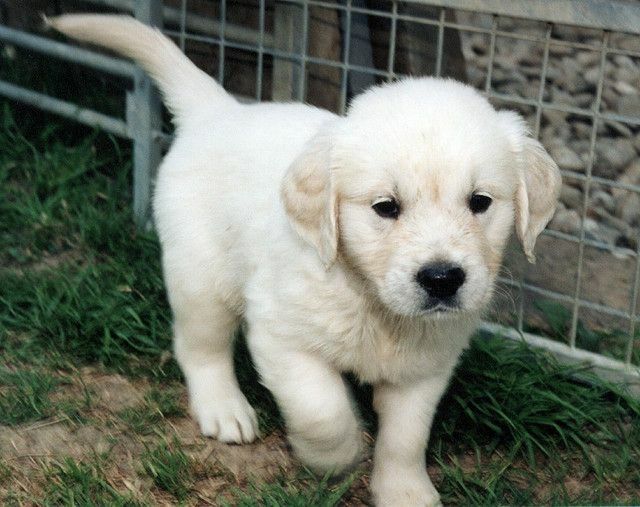 They are renowned for being one of the best breeds used a guide dogs. They excel at other jobs they are asked to do which includes detecting bombs, tracking and competing in obedience classes. They are one of the top choices of dogs used in search and rescue situations. They boast loyal and affectionate natures whether they are working dogs or family pets. For a long time, the breed's origin was a little confusing, but today most enthusiasts believe these lovely "golden" dogs came about all thanks to Lord Tweedmouth who set about producing a gundog capable of retrieving game from water and marshlands. 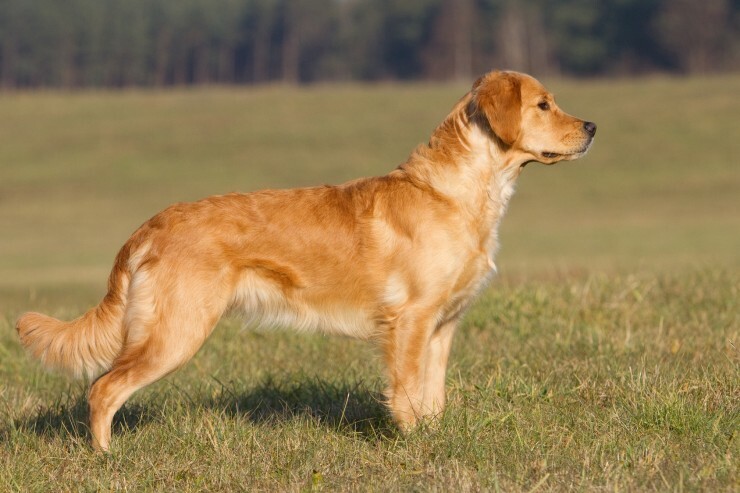 Yellow Retrievers already existed as working dogs in the field, but it was the Lord's endeavours that produced the Golden Retrievers we see today. The first time Golden Retrievers were ever shown at the Crystal Palace was in 1908 by Viscount Harcourt and then a year or so later at Crufts. 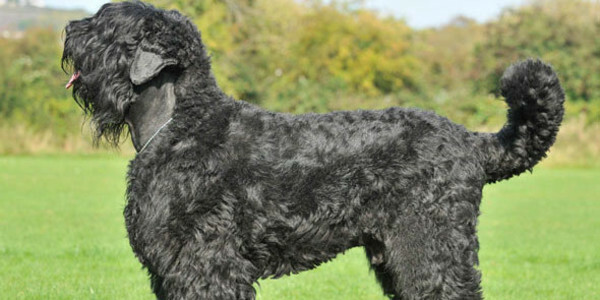 He started the "Culham" line using dogs bred by the Earl of Portsmouth. 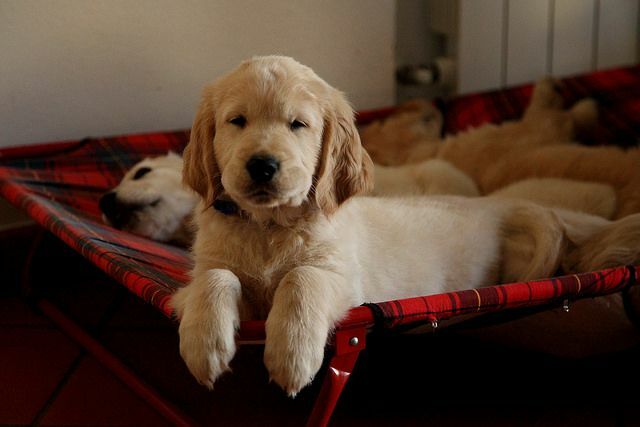 The dogs that were exhibited were referred to as "Flat Coat (Golden)", a name they retained right up till 1913 only being called Golden Retrievers in 1920, but they were officially recognised as a breed in their own right by the Kennel Club in 1903. Golden Retrievers boast having luxurious coats and as such they do shed copiously. It's best to start teaching puppies that a grooming session is an enjoyable experience because these lovely dogs will need a lot in the way of brushing throughout their lives. A daily brush is essential not only to keep a Golden Retriever's coat and skin in good condition, but to keep on top of any shed hair too. It's also a good idea to keep a Golden Retriever's feet nicely trimmed, paying special attention to the hair that grows between their toes and paw pads. This prevents any of the hair "balling up" with mud or ice which can make walking very uncomfortable for a dog. It's also important to keep a close eye on a Golden Retriever's ears and to make sure they are kept nice and dry to reduce the risk of any infections setting in which can be notoriously hard to clear up once they take hold. 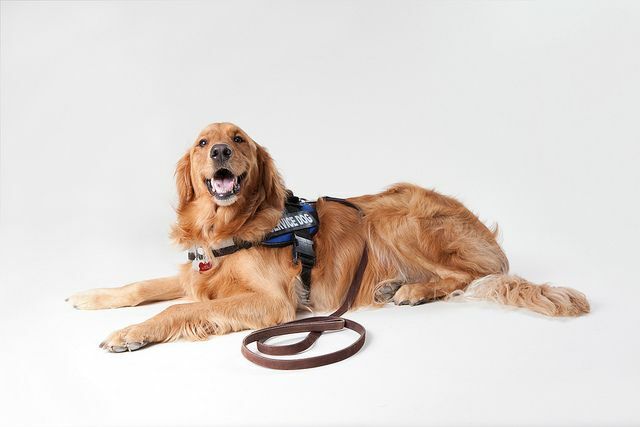 Golden Retrievers also benefit from being professionally groomed from time to time so their coats can be hand stripped which makes caring for them that much easier. 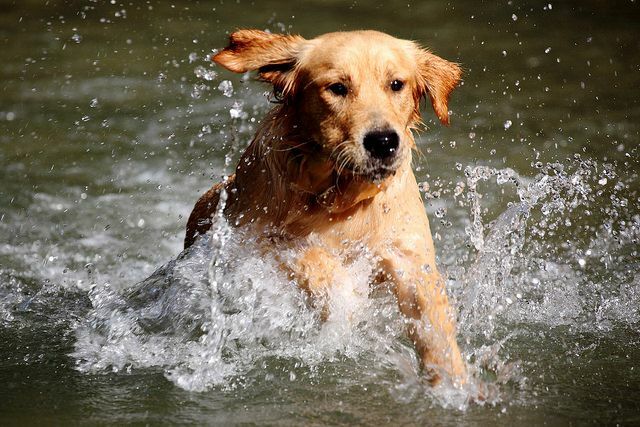 When it comes to bathing, Golden Retrievers are drawn to water like magnets, it's in their DNA so occasionally they will get muddy and dirty especially when the weather is wet. This means a dog might need a bath, but it's important not to overdo it and to always use a dog specific shampoo to avoid upsetting the natural pH balance of a dog's skin which could result in them developing a skin irritation or allergy. 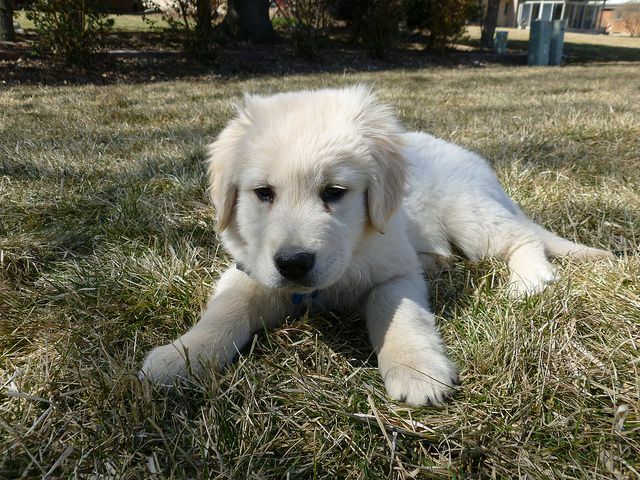 Golden Retrievers are active, lively dogs and they need to be given lots of regular exercise to remain fit and healthy. However, initially puppies should only be allowed to play in the garden, but they also need to be introduced to as many new people, other animals and situations as possible during the first few weeks and months of their lives. Once they have had all their shots, they can be taken out for short walks with 15 minutes being ample to keep them happy and fit. 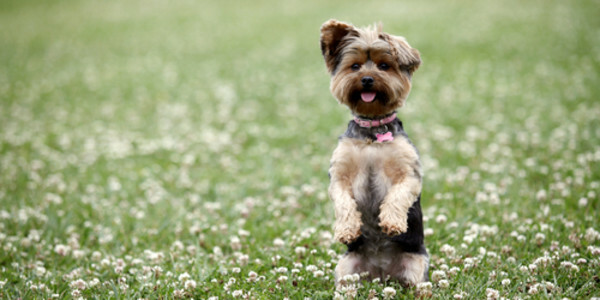 Older dogs need to be given a good 2 hours exercise every day and this needs to include lots of mental stimulation in the form of interactive games. Golden Retrievers are highly intelligent and need to be kept busy both physically and mentally to be truly happy, well-rounded dogs. With this said, once back home these dogs are quite happy to chill out and relax with their owners liking nothing better than to curl up on the couch with them. When they reach their golden years, Golden Retrievers slow down just like any other breed and although they might be a little slower off the mark, they still need to be given regular daily exercise, only walks need to be shorter and less of a distance covered so they don't get too tired out. They also still need to be given lots of mental stimulation because it helps keep their cognitive ability sharp which is extremely important when a dog reaches their senior years. 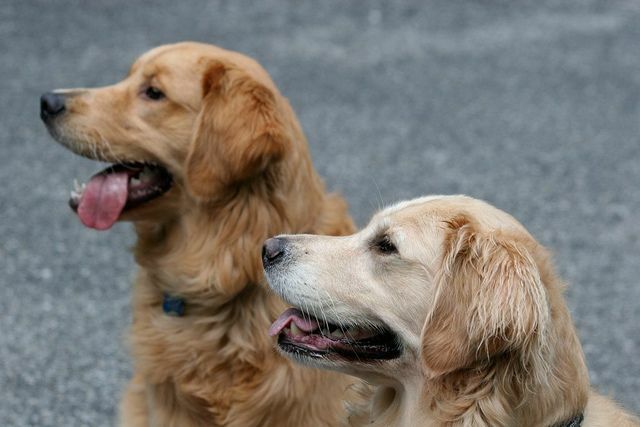 Golden Retrievers are not finicky or fussy eaters, in fact, quite the opposite is true. These dogs like their food a little too much and are prone to put on too much weight if fed an incorrect amount of food on a daily basis and not given enough exercise to burn off any excess calories. 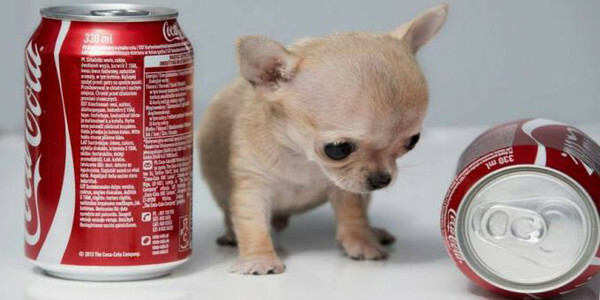 If you are getting a puppy, the breeder would let you know what type of food they have been on and would recommend you feed a new puppy the same diet, otherwise they might get a tummy upset all due to a change in their diet. 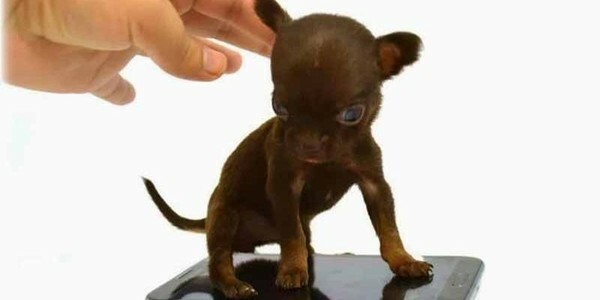 You can change the sort of food you feed a puppy slowly over a period of a few weeks to avoid this from happening. It's important to feed a puppy food that has been specifically formulated for them because it contains all the right nutrients they need to develop and grow properly. 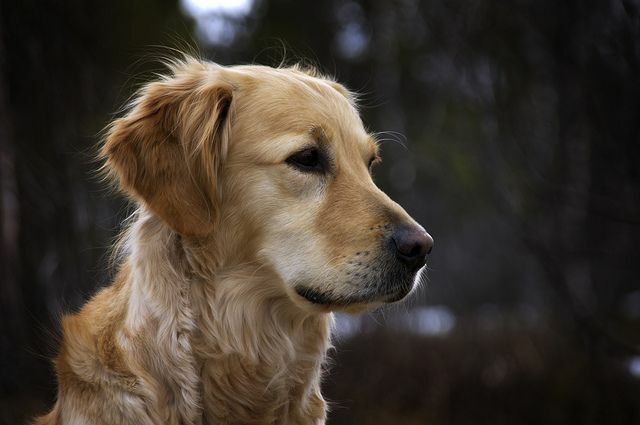 Older Golden Retrievers need to be fed a good quality, well balanced diet to suit their ages being careful not to overfeed a dog or give them too many treats as rewards for being good. 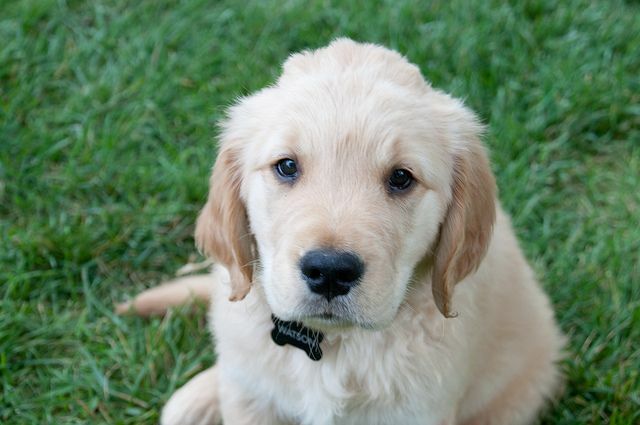 When training a Golden Retriever, it's best to use healthy low calorie treats and to limit the amount you give a dog to prevent them putting on too much weight. Dogs and puppies that carry too many extra pounds are more at risk of developing serious health disorders. It puts far too much pressure on their joints and internal organs including their hearts. 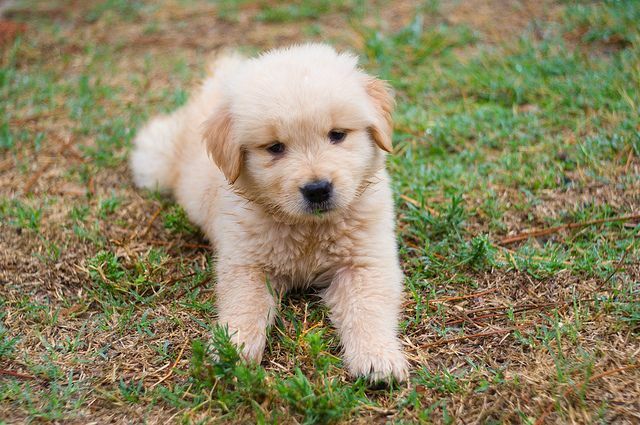 In short, an overweight or obese Golden Retriever will not enjoy a long life span because this could be cut quite dramatically by several years because they are carrying too much weight. 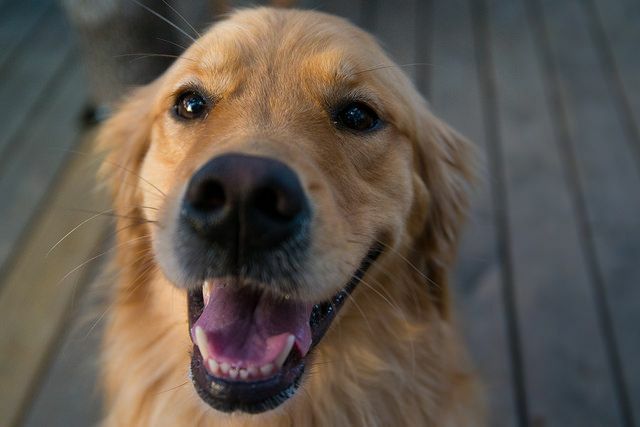 The average life expectancy of a Golden Retriever is anything between 10 - 12 years when properly cared for and fed an appropriate good quality diet to suit their ages.